I was standing on the top deck of Pacific Jewel with friends and the Sailaway Party was in full swing. There was a rock band playing, circus performers in action and passengers were having the time of their lives. We were sipping on the mandatory cocktail. By the time we had left Darling Harbour, cruised under the Sydney Harbour Bridge and floated past the amazing Sydney skyline in bright sunshine I reckoned I had got my money’s worth already. I’m telling you all this because Pacific Jewel is that kind of ship. There is always something going on. Walk down a passageway and turn the corner and you’ll suddenly come upon a group of passengers singing their lungs out, dancing up a storm or enjoying a chat and a beer. All day long and into the night Pacific Jewel swings along and for those who enjoy the party life and going out, you will have a great time. 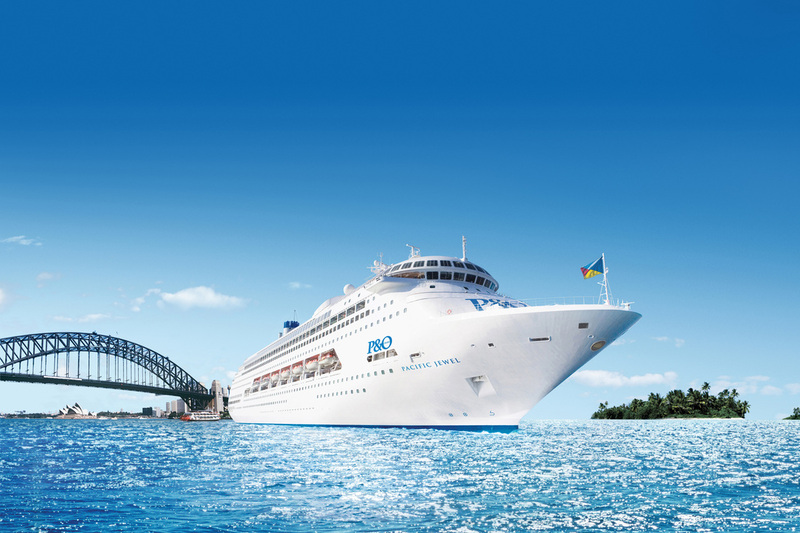 Pacific Jewel is also fun for those who enjoy a quieter time, because you can go to a piano bar for some soft music, watch a show after dinner and the retire to your stateroom for a good night’s sleep. 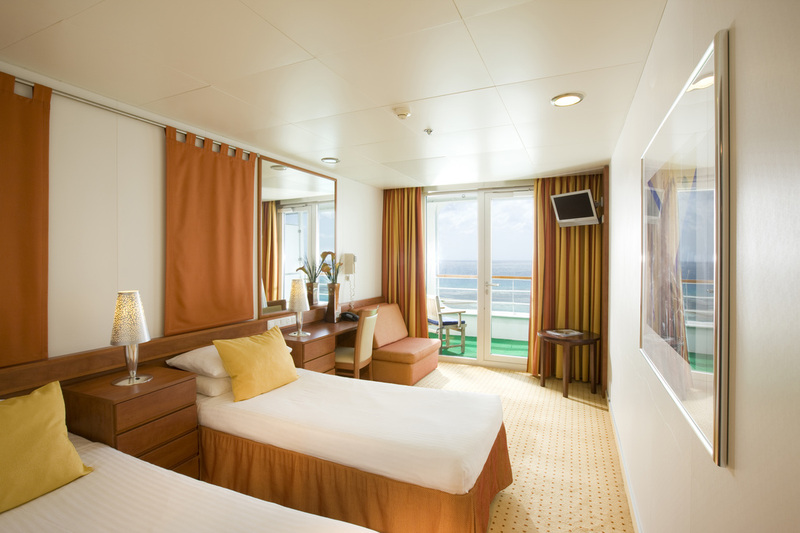 During the day there are lots to do all over the ship, carrying on the traditions of P&O cruising. 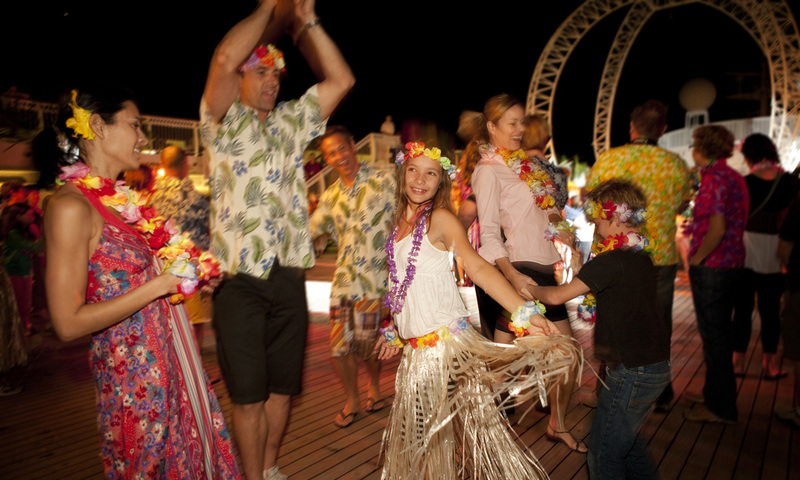 Pacific Jewel is particularly suited to family and multi-generational cruising. 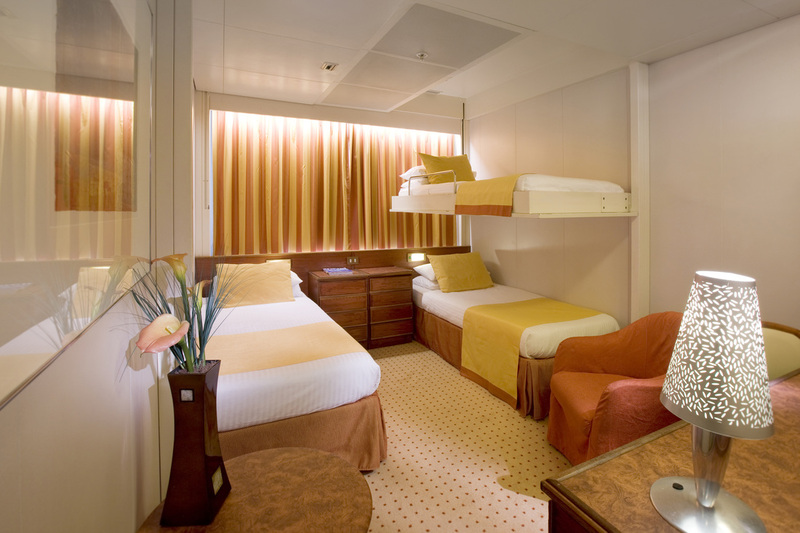 Many cabins have pull-down extra beds for the kids at night. These are put away during the day giving plenty of room. These are also separate kid’s centres for the various age groups. Popular adults’ only areas are the Oasis Retreat and the Aqua Spa and Health Centre. Public rooms and bars offer a wide selection of designs and the ambience to suit every need. They are a little larger than normal three star style cruise ships with a good sized bathroom, walk-in wardrobe, TV, desk and large picture windows. Virtually all passengers were Aussies, ranging from one to 100, but don’t let that put you off. There seemed to be about 20 per cent under 25, 35 per cent middle age and 40 per cent older. Almost everyone seemed to be having fun. Sure, you always get whingers on any cruise, but most people seemed to be having a good time. 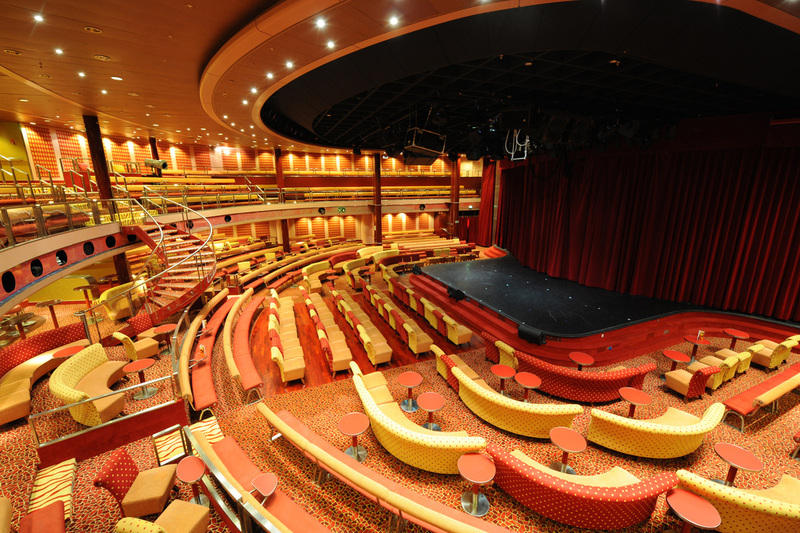 The ship’s design keeps the various age group entertainment areas separated, so you never feel crowded. They say good service makes or breaks a cruise and we found the staff at our table and our cabin stewards to be lovely people who enjoyed making our cruise extra special. Drinks staff and the cruise staff were also friendly and efficient. The Plantation and the Waterfront Restaurants host three meals a day, but alive at night with excellent a la carte five course menus. 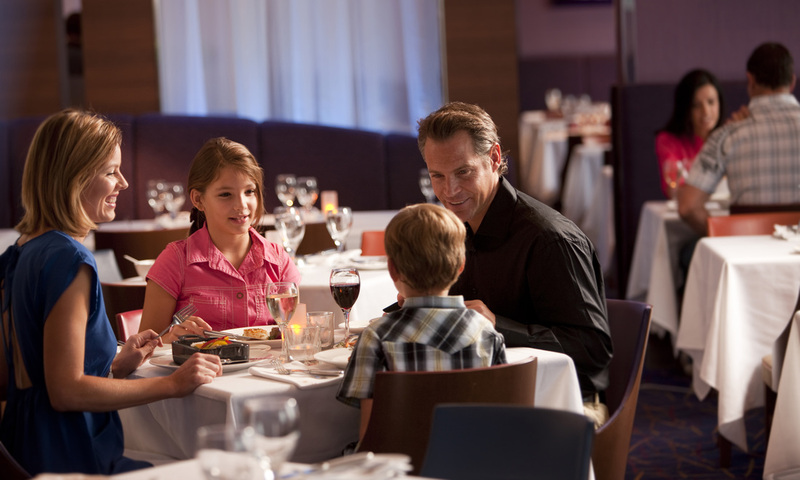 Most people enjoy breakfast and lunch at Horizons smorgasbord upstairs. Alternative dining is available at the superb Salt Grill by Luke Mangan and the excellent Asian cuisine restaurant La Luna. The normal P&O style shore tours are available. They are reasonably priced, well organized and leave and return on time. P&O always puts on a good show. In fact I go so far as to say they are as good as any shows on any ship around the world. The Marquee Theatre is the venue for the shows and it is an impressive two story design. Connexions is the other showroom, available for karaoke and cabaret acts. The deck around the pool is always busy on sea days but it was easy to get a deckchair away from poolside. 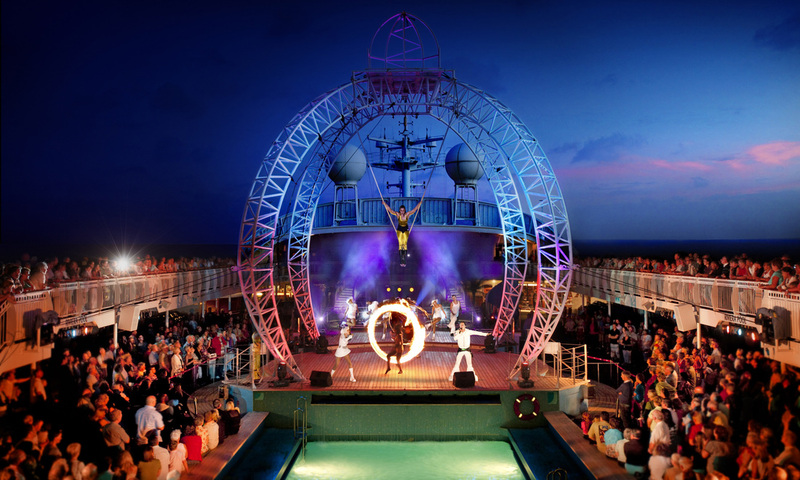 The amount of superb entertainment, P&O’s ability to visit islands other cruise lines miss, the great food and service make this one of the best value-for-money holidays in the world. You will have a good time.